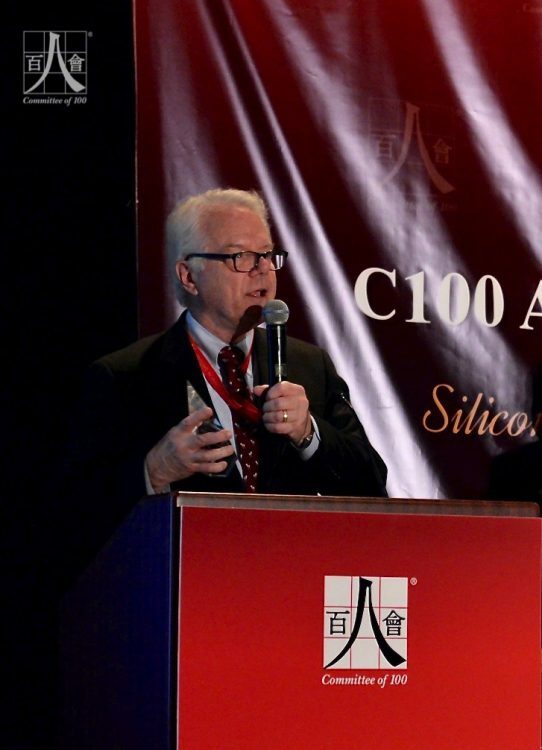 At its recent annual conference in Silicon Valley on May 5, 2018, the Committee of 100 (C100) honored Dr. David M. Lampton with a Lifetime Achievement Award for Advancing U.S.-China Relations. Dr. Lampton, who is Hyman Professor and Director of China Studies at the prestigious Johns Hopkins School of Advanced International Studies (SAIS), is retiring this summer. He formerly served as Dean of Faculty at SAIS, has authored many books on modern China and U.S.-China relations, and has been a friend and member of C100’s Advisory Council since 2007. 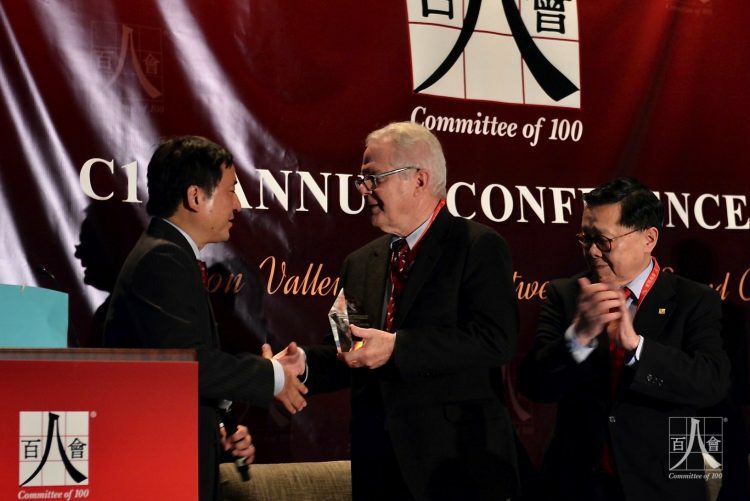 In 2015, Dr. Lampton was named the most influential China watcher by the China Foreign Affairs University in Beijing, the country’s most prestigious university for diplomats. He is also Chairman of the Asia Foundation. 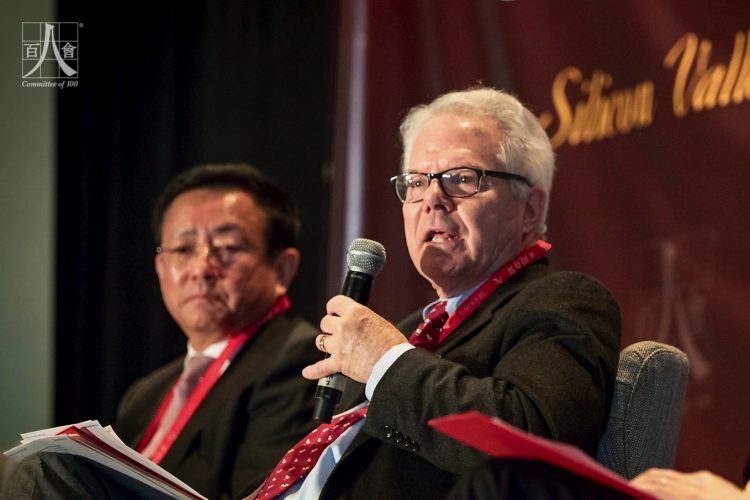 At the May 5 convening which attracted more than 500 business, government, academic, technology, and media leaders, Dr. Lampton, who has appeared in many previous C100 conferences, participated in a well-received panel on the Belt and Road Initiative. Moderated by C100 Governor Henry Tang, the discussion was among the significant presentations at the convening, which also included keynote addresses by Mr. Jin Liqun, President and Chair of the Asian Infrastructure Investment Bank, and U.S. Ambassadors Gary Locke, Max Baucus, and Chas Freeman.